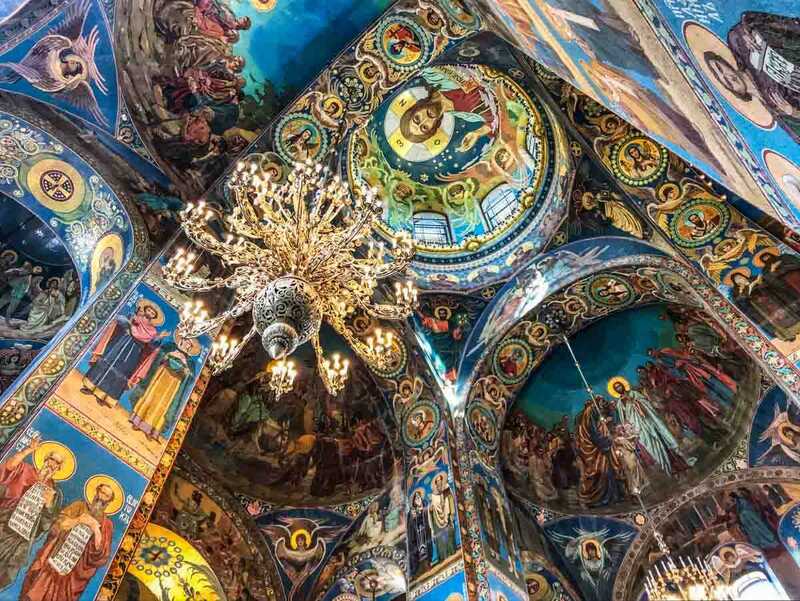 The fantastic painted ceiling and columns of the Church of the Savior on the Spilled Blood. The church, in central Saint Petersburg, got its name because the Tsar Alexander II was assassinated at the church. This is a list of Unesco World Heritage Sites in Russia, with links to posts about the ones we have visited. Russia has 28 Unesco World Heritage sites, which places it in ninth place, behind Italy, China, Spain, France, Germany, and others.